Eltek has announced it has been chosen by Siemens to provide power solutions for the prestigious Hywind Scotland Pilot Park project. The agreement includes the company’s Rectiverter product. Eltek’s Rectiverter UPS is placed in the wind turbine at sea for this project and supplies power for the emergency lighting, instrument lighting, obstruction lighting and communication equipment. 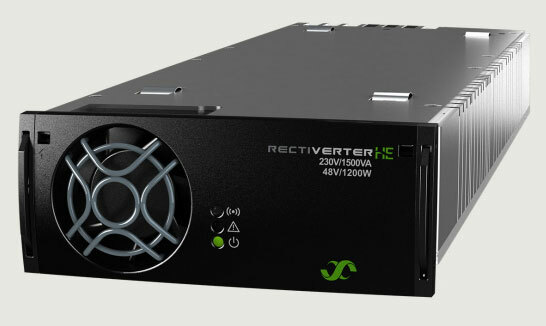 The Eltek Rectiverter is a first-of-its-kind high efficiency power conversion module that combines the functions of a rectifier, an inverter and built-in transfer technology into a single module. The Rectiverter has three ports – one AC input, one AC output and one bidirectional DC input and output port. Eltek recently received The Norwegian Confederation of Business Innovation Award 2016 for the ground-breaking Rectiverter.